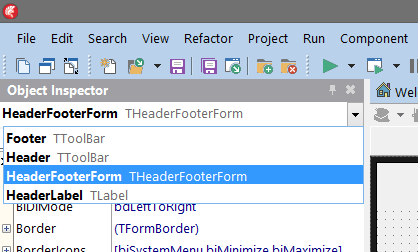 Immediately after you start new RAD Studio XE8 for the first time, you will notice significant UI change in IDE. Bigger font size (Object Inspector, menu, Tool Palette…) and even blue toolbar and main menu backgroud. Here is how to revert this new look to “conservative” XE7 (and older versions) look. IMHO, especially the blue background is ugly and feels like “few years old MS Office look”. 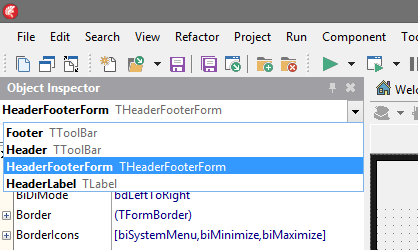 Unfortunately there is no configuration dialog in the IDE to change this, you need to edit system registry. Here is the official Embarcadero Wiki page describing the procedure. All you need to do is to create new system registry record describing font type, font size and background. To revert to XE7 look, create new file (using Notepad), name it as you wish with .REG extension, paste following code to it and run it. Here you can find list of color constants. This entry was posted in RAD Studio, Registry, Tips. Bookmark the permalink.